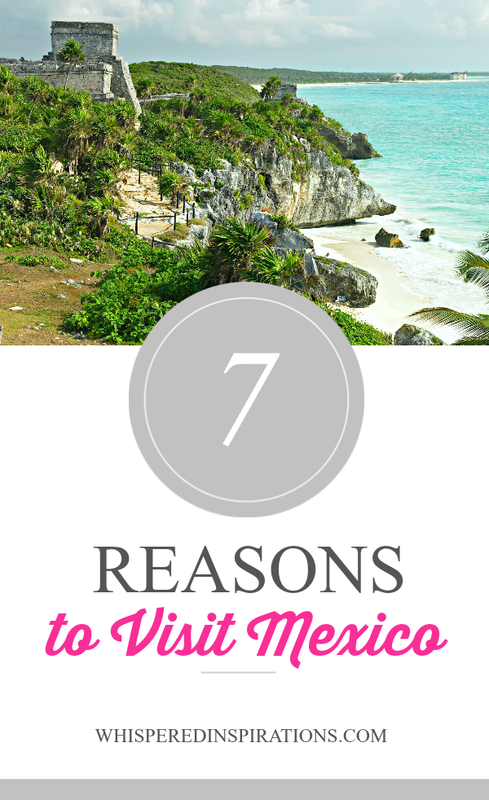 You are here: Home / Family Travel / 7 Reasons You Should Visit Mexico! Reasons You Should Visit Mexico! Have you always wanted to visit Mexico, but didn’t know where to start? Mexico is a popular place for food, fun, and relaxation. It’s known for its natural beauty and unending activities. 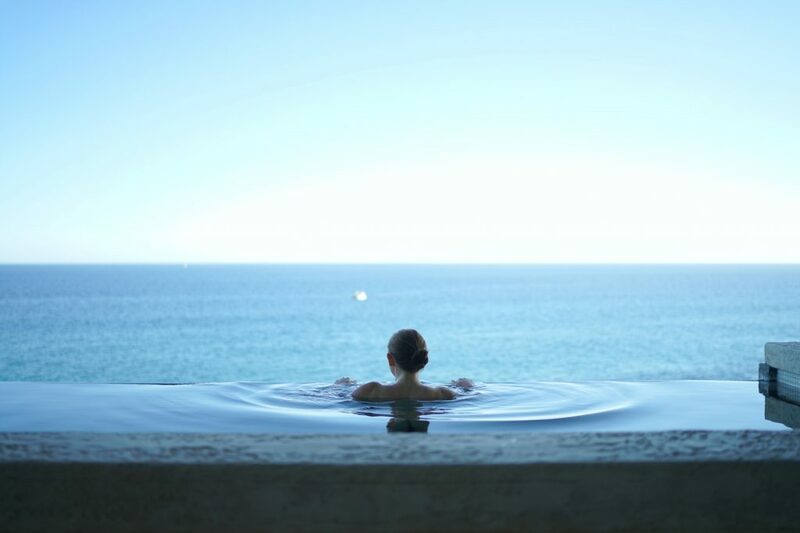 Whether you’re going to relax at one of the beautiful beachfront homes in Mexico or go on an adventure at the ancient Mayan ruins, you will have a great time. Here are at least 7 reasons why you should visit Mexico as soon as you can. I don’t know about you but, I absolutely want to stay in the lap of luxury when I travel. Especially if it’s a vacation that you’ve worked hard towards and have looked forward to all year-long. While you can always stay in a resort or hotel, nothing beats staying in a villa. Homes that are privately owned and where the pride in taking care of them is immediately noticed. The best part is if you are traveling in a large party, some of these homes and villas can accommodate up to 20 people or more. Meaning you can split the cost and stay in an absolutely luxurious home and enjoy our vacation in Mexico. Can you imagine staying at a beach front home and having all the amenities of home in paradise? Mexico has a lot of accommodation options. It’s finding the right one for you and I highly recommend this route. You probably think you have tried true authentic Mexican food, but have you? Truthfully, the best place to get a taste of authentic Mexican food is in Mexico. Foods like, tostadas and street tacos are best eaten while in Mexico. But, you’ll have to try out more than just the tacos. Mexican cuisine like their chilaquiles, mole, enchiladas, and tamales. One thing is for sure, you’ll never be hungry or bored when you’re visiting. As Latin cuisine is known to be flavourful. I’m a bit biased since I am a Latina myself but, the food will not disappoint. Check out some of the most amazing foods to try while in Mexico. 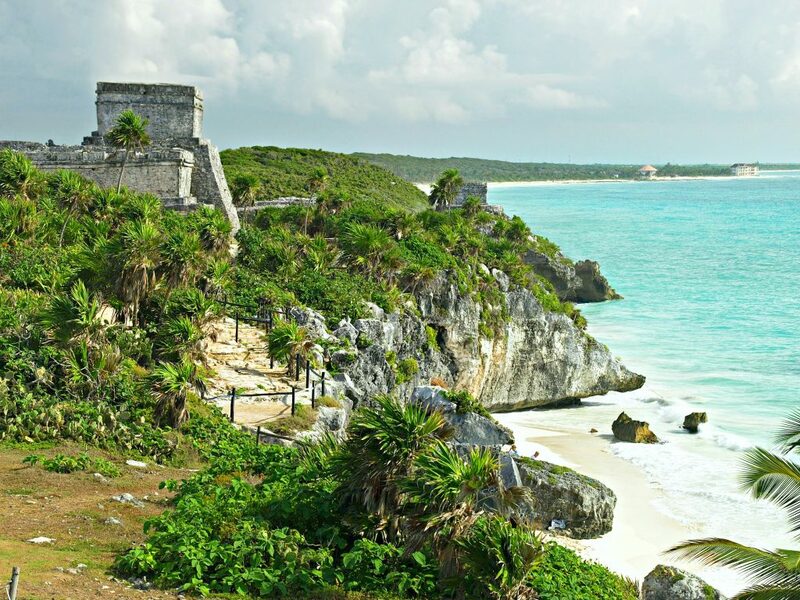 Mexico has a rich history, which results in lots of things to do. Visiting the ocean is obviously a popular choice because of the natural beauty. However, there are also historical sites like the National Palace or Chapultepec Castle. If you’re up for something historical to do, check out the Aztec Ruins in the Valley of Mexico. It is one of their most popular attractions and it’s no wonder, it’s a beautiful and enchanting place. If you think about it, it’s pretty amazing that such an ancient civilization was able to build such astounding structures. It’s definitely something you need to see before you leave this earth. Many people are drawn to Mexico because of the natural beauty. You can literally sit on the sand and stare out into the ocean for hours. Playa de Carmen, Playa de Amor, Cancun Beach, Paraiso Beach and Tulum are just a few of the most popular beach destinations in Mexico. Each destination offers a unique beach life that is sure to leave you breathless! Here are 8 of the most popular beaches in Mexico. When thinking of visiting Mexico, you want to know everything it has to offer. If you love to shop and experience other cultures, then visiting the markets are a must. When visiting a market in a big city, like Mexico City, your adrenaline starts pumping and you get super excited. The markets are full of rare ingredients, beautiful flowers, and authentic food that you can’t find anywhere else. Although Mexico is known as an exotic destination, it’s should also be known for its National Parks. Finding a National Park in Mexico is like pure gold. You can walk trails for miles, breathing in all nature can offer. National Park of Palenque is a popular one and maybe something you should put on your Mexico Bucket List. Here is a list of some of the biggest National Parks in Mexico. When you’re trying to find a perfect travel destination for the family, it can be hard. However, Mexico is known as a top family destination. Between the parks, adventures, oceans, food, and so much more – you cannot go wrong. Families can spend time watching whales, snorkeling in the ocean, or walking the local parks. Obviously, the people of Mexico make this country worth visiting. From their amazing to culture to the good they provide, you cannot find a more welcoming country. Listening to a mariachi band or purchasing a handwoven textile, it’s truly amazing what the people of Mexico have to offer. Anyone that visits is lucky to come in contact with the citizens of Mexico. If you’re planning your vacation, Mexico is an ideal destination. Whether you’re going as a couple, as a singleton, or as a family, there are many more reasons to visit this beautiful country. You’ll find that there is something to do for everyone. Not just is it beautiful but, the people are amazing and the Latin food does not get any more authentic than Mexico. So brush up your Spanish and start planning your vacation. Gather your friends and rent a villa, the ocean and the celebrations await you. Do you plan on visiting Mexico soon? Wow,thanks for sharing Nancy Mexico is on my bucket list to visit! You’re welcome Kathy! Hope you enjoy Mexico when you go! They sure do! Great destination for everyone to enjoy! I always thought of Mexico as just a beach destination and I am not a big fan of hot weather so I’ve never been very interested in visiting, but I won a family vacation so we will be going this fall. Now that I’ve done some research, I am very excited about the authentic Mexican food and the historical sites. That is awesome! Hope you guys have a blast! Beautiful. One day we’ll get to Mexico! So much to discover and see in Mexico! Have a blast when you do go!